How is my future looking? The questioner has had a few years of uncertainly, but has just got the good news that his job security has improved. 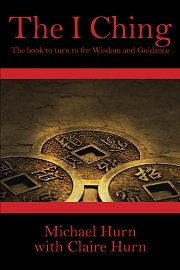 In the first hexagram the outcome looks favourable but there are a number of warnings to help guide the questioner in the future. The subject should take extra note of the text in the third line. Do not act out of turn keep steady and all will be well. A summary from the second hexagram is to take your time and consolidate your position. This entry was posted in Job/Career. Bookmark the permalink.